Dr. Holly McIntire graduated the medical school from University of Mississippi School of Medicine and completed her residency program at University of Mississippi Medical Center. 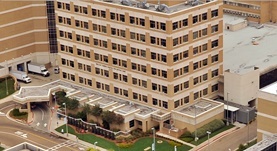 A fellowship in Dermatopathology followed at Baylor College of Medicine. Dr. McIntire is specialized in Pathology and board certified in Anatomic & Clinical Pathology and Dermatopathology. She has been in practice for more than 6 years and she's currently practicing at University of Mississippi Medical Center	. Dr. Holly McIntire has contributed to 3 publications. JAAD Grand Rounds quiz: Keloidal nodules in an African American man. Moore, M. R.,Motaparthi, K.,McIntire, H.,Hsu, S.; J Am Acad Dermatol. 2013 Feb.
Bogale, S. R., Chan, C. S., McIntire, H., Hsu, S.; Dermatol Online J. 2011.